13 Signs You Might Be Kinda High Maintenance! You, my girl, aren’t part of the crowd - you stand out. And standing out is hard work that requires much effort and maintenance. So, whatever the world may say about a girl who’s kinda high maintenance, we think it’s pretty cool to have high standards in life. 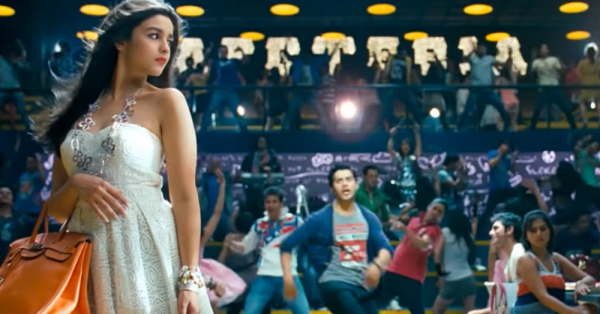 Here are 13 signs you’re actually a high maintenance girl, even if until now, you didn’t really think of yourself as one! 1. You like your things personalised - um, preferably with your initials on it. ‘Coz you are one of a kind and you like your things to be too! Right? Right. 2. When it comes to your skin care products... Well, no ad can fool you. You’ve got your lotions and potions in place, and will never let anything ‘new’ near your skin without proper recommendations first. You feel it’s plain cruel to treat one’s skin any other way! ...as long as it ends with you chilling in a hotel room, with a GREAT bathroom. That’s just a must. 4. A quiet, long, soothing professional body spa...that’s your favorite way to de-stress! And you can’t help but feel it’s well deserved after a tiring week at work. 5. You always kinda look like you went to the salon, with your hair in place and your makeup on fleek. Because the way you’re dressed is the way you’re addressed. Am I right, or am I right? 6. You don’t like carrying a bundle of cash. You like your money plastic, so that the chances of it running out are less! *Swiping my credit card* Ahh the joy. You usually buy what you like, when you like it. You don’t believe in procrastinating like that! 8. Yeah you love your chaat, but you want your dates to be proper fine dining experiences! Nothing beats the charm of old school romance, does it? But there is something just so badass about heels that you feel like you connect with them on a ‘higher’ level. ‘Coz who knows what you may need?! You can never know who or what might pop up. You like to carry your ‘essentials’ at least! Grand entrance is a thing, guys. And even when haters talk sh*t about you, you just take it all as a compliment. After all, you must be doing something right to invite their envy and their attention. ‘Coz you deserve nothing short of fabulous! GIFs: Giphy HAVE A STORY IDEA FOR POPxo? If you want to hear about it, we can write about it! Just tell us your idea here! MUST-READ: 9 Signs You’re The Most Chilled Out Girlfriend Ever! MUST-READ: 12 Signs You And Your Guy Are The Ultimate Cool Couple!